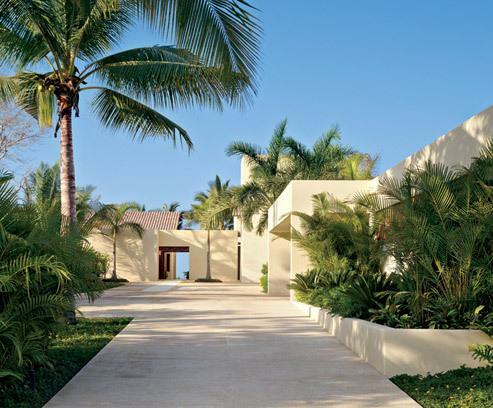 Situated on a deep lot, the compound is conceived as a sequence of open patios and sheltered interior spaces leading inexorably to the sea. 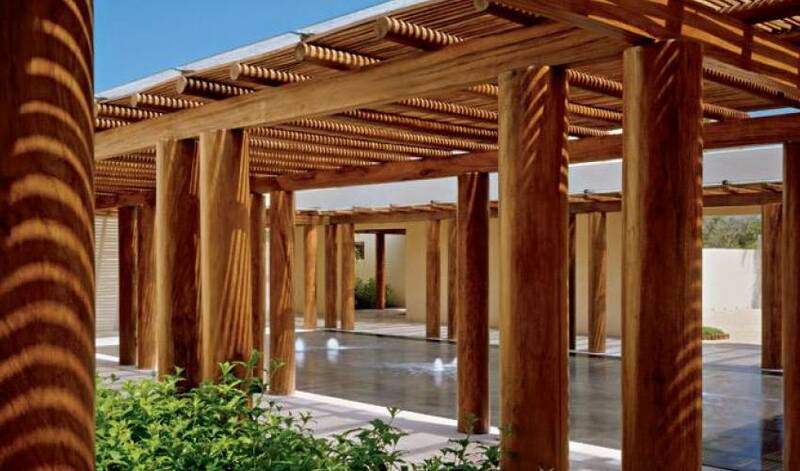 The residence consists of six separate structures linked by overhead trellises crafted from tropical parota wood and shielded from summer rains by glass deftly concealed in the latticework. 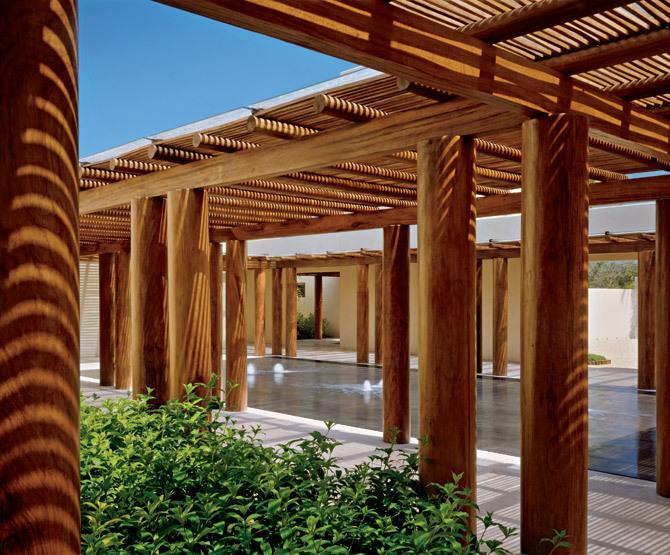 The formal, sculptural entrance, with its gravel plaza, leads to a soothing interior courtyard surrounding a shallow pool-a hearth plaza where it's possible to sense the ocean. 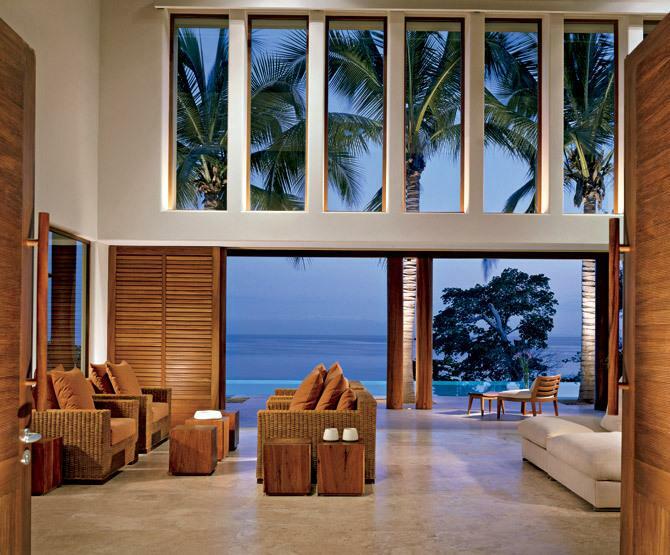 Throughout the property, terraces and double-height ceilings capture the sky and ocean breezes, inviting cross ventilation without the need for air-conditioning and bringing in the sensuous sound of rustling palms. 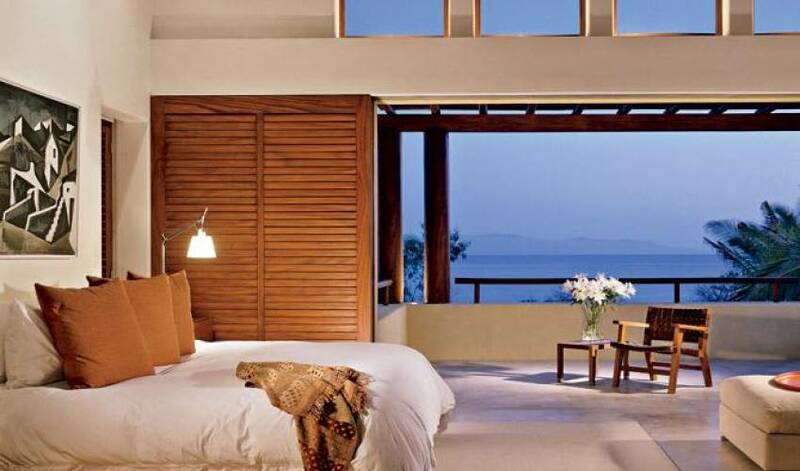 Wood shutters-a typical element on the Mexican coast-part to reveal sets of glass doors and sliding screens that ward off mosquitoes. 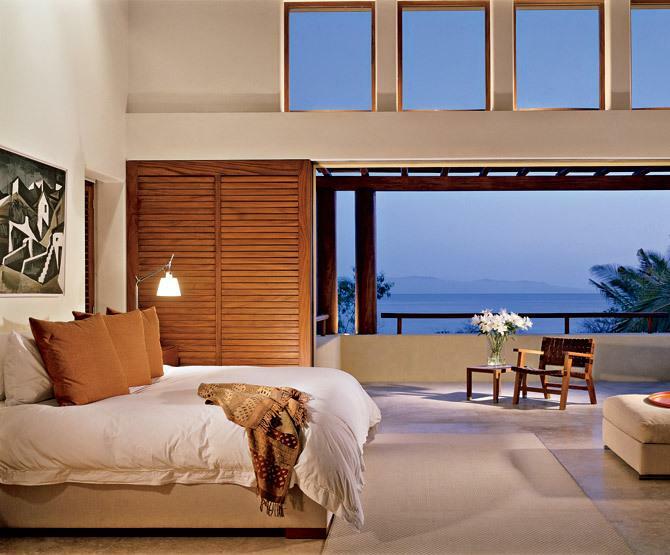 All open gloriously onto the water, a glistening azure nursery for humpback whales and olive ridley sea turtles. 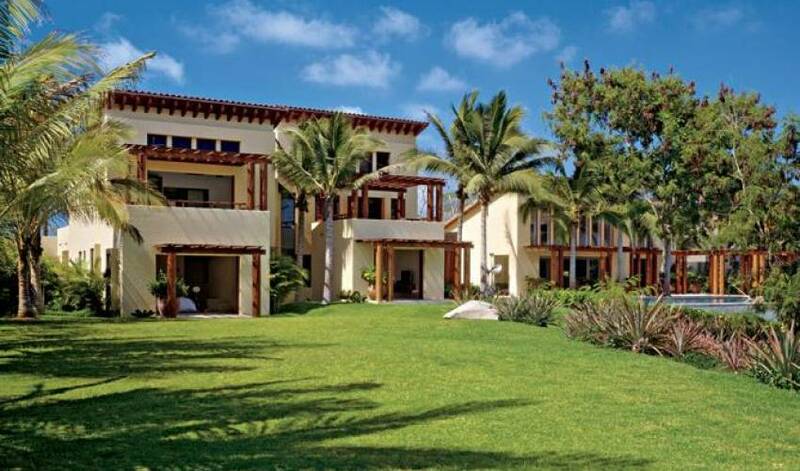 6-bedroom estate perfectly marries the elements of space, service and serenity. 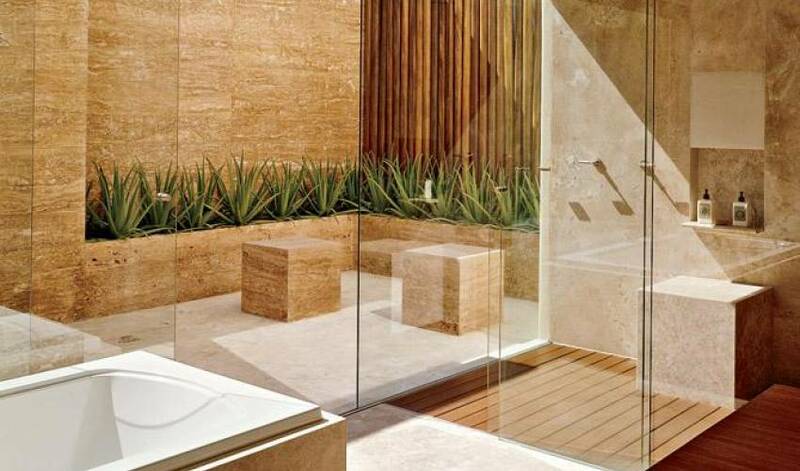 Created by Mexico City based architect known for his high end villa designs. 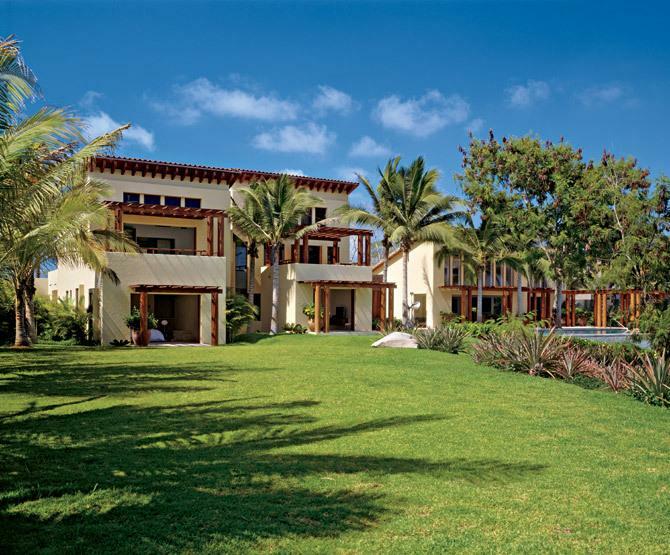 A water filled courtyard reminiscent of a traditional hacienda gives way to contemporary spaces with double height windows and neutral colors putting the lush tropical gardens and sea at center stage. 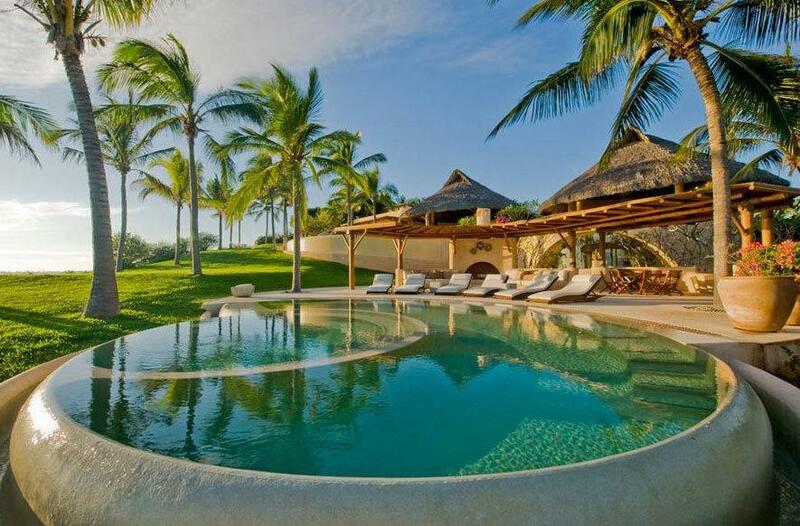 Situated in Punta Mita on the bay of Banderas (7th largest bay in the world). 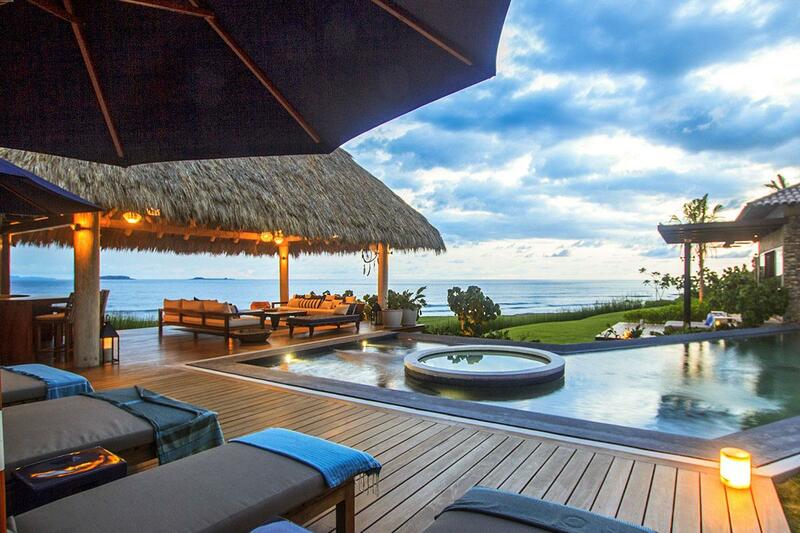 The estate is ideally placed 35 feet above a swimmable beach allows for optimal privacy and impressive vistas. 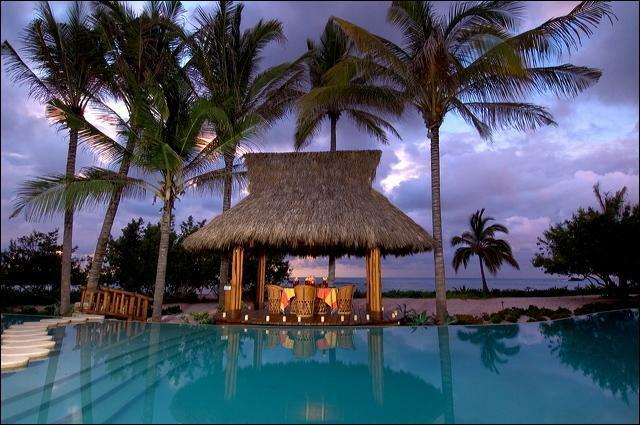 The house leaves guests with little reason to leave, but amenities such as 2 private golf courses, tennis courts and 2 private beach clubs await within this gated luxury resort. 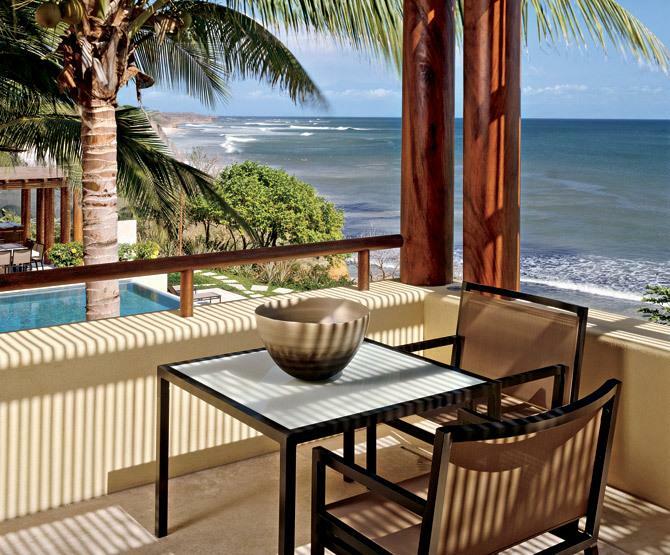 6 Bedrooms - 3 suites that offer unobstructed views of the ocean. 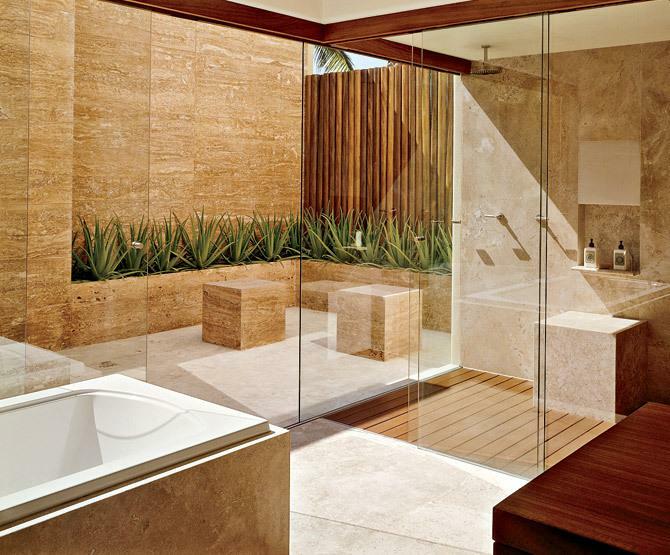 All of the bedrooms feature impressive outdoor showers. 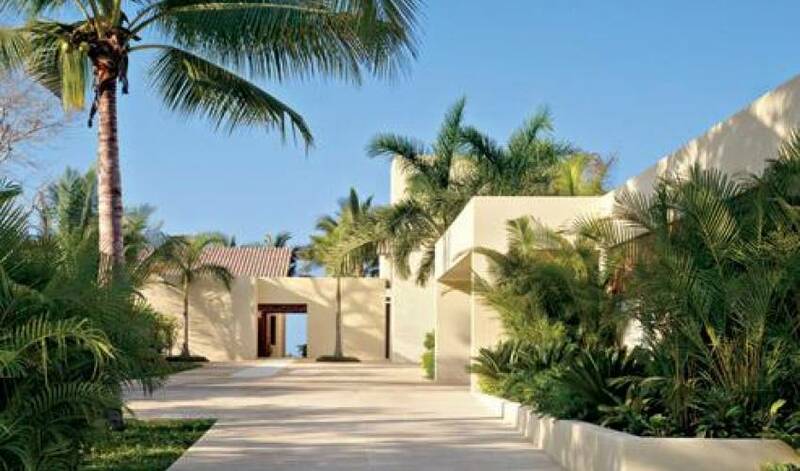 Two-story master suite with a separate sitting room and water feature, a spacious indoor/outdoor bathroom and courtyard, and a studio and terrace which occupies the entire second floor. Main Sala - The perfect room to gather the family or a large group. 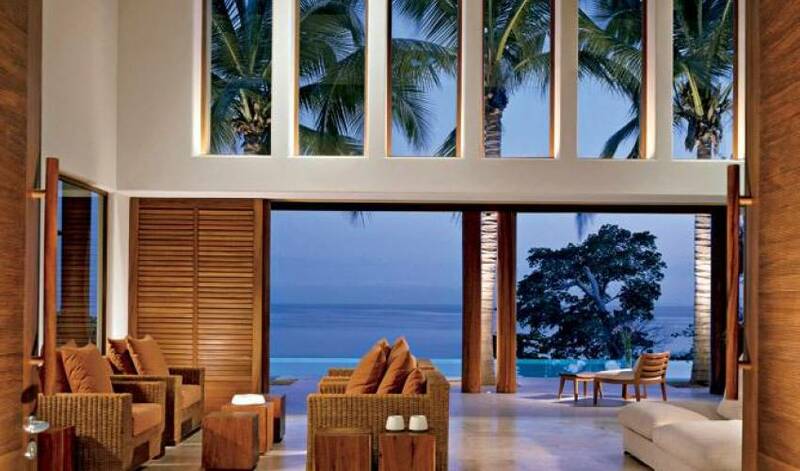 Louvered doors pull completely back to create seamless living between indoor and out. Dining Room - An elegant choice for up to 14 adults. 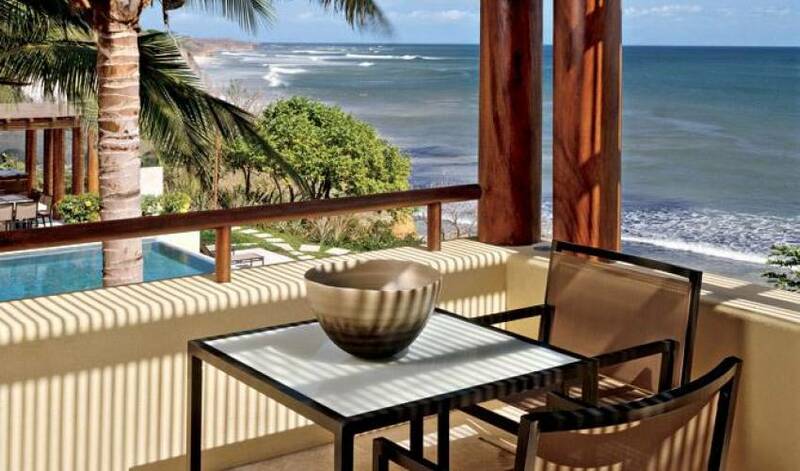 Additionally, guests may dine on the lawn or one of several terraces. Kitchen - State of the art and fully staffed . Fitness Center - Elliptical trainer, Treadmill, Hand weights, Workout Bench and exercise mats. Trainers and instructors available on request.